Niskayuna represent. 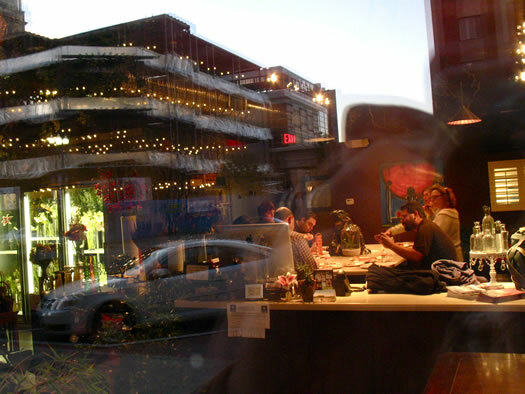 Mario's narrowly moves past Nico's. This was close. 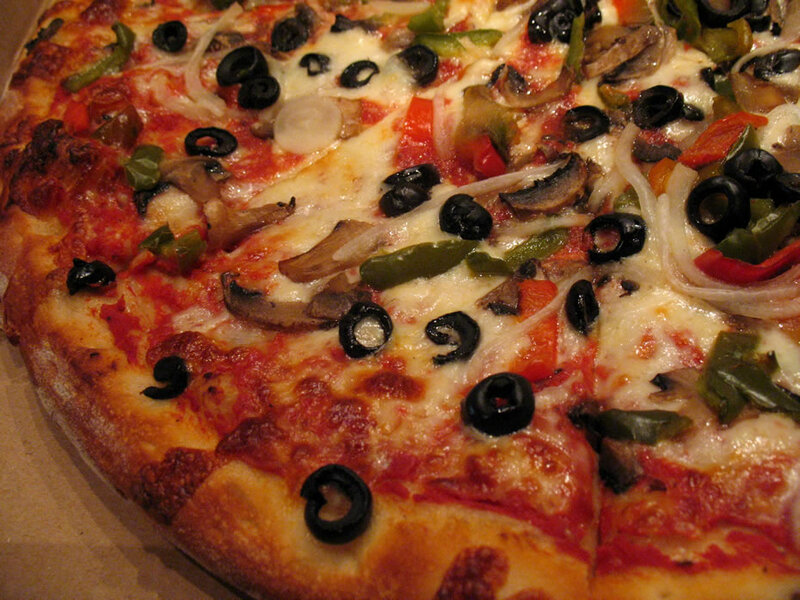 The crust category basically broke down like this: Mario's crust had the structure to hold up against all those toppings. Nico's crust did not. But a majority of the judges thought Nico's had better flavor. And it takes the narrow category win. The judges preferred Mario's sauce -- both its flavor and distribution. "Thoroughly applied, almost meaty," noted one judge. Said another, "Yum." One judge described Nico's sauce as "almost non-existant -- but any more would make this a soggy mess." The judges praised Mario's combination of veggies and cheese, noting its balance and the way it all worked together. And as one judge said, "nice to see a real mushroom." The judges liked Nico's cheese -- but weren't necessarily fans of the other toppings. "Bell pepper overpowers everything," said one judge. "Canned mushrooms are squishy and unappealing," said another. And a different judge commented that Nico's pizza "feels imbalanced." 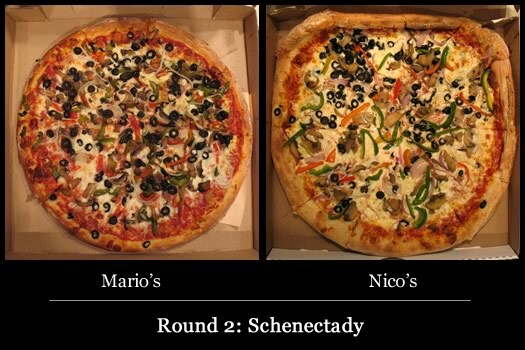 The judges had good things to say about Nico's pizza -- "a nice, flavorful pizza" is how one judge summed up the downtown Schenectady shop's offering. And one of the judges scored Nico's ahead of Mario's. But the Niskayuna restaurant scored narrow victories with the other judges thanks to its balance of toppings. 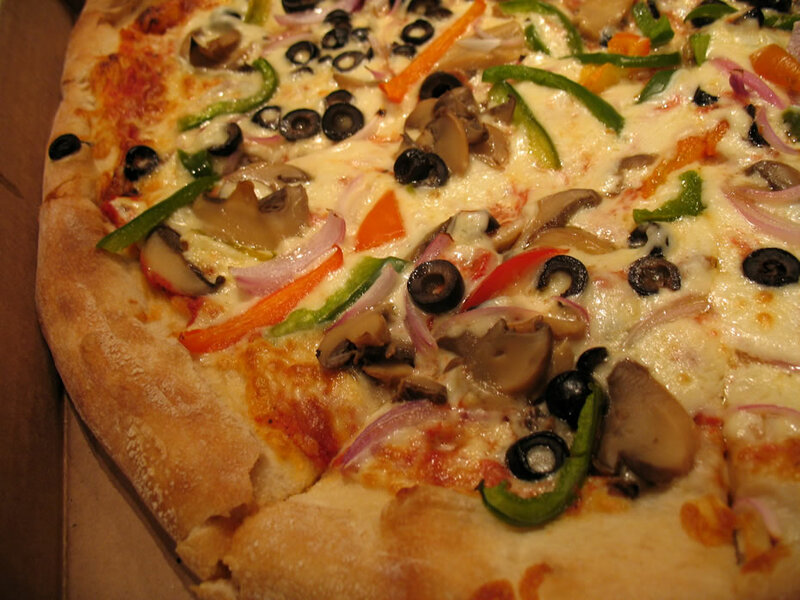 Said one judge of Mario's pizza: "The overall balance of the toppings, cheese, crust, and sauce make it well balance and overall more enjoyable." Mario's takes the bracket and advances to the semi-finals. It will face the winner of the Albany bracket. Tomorrow: The TOP heads back to Troy for a Round 2 matchup between DeFazio's and I Love. 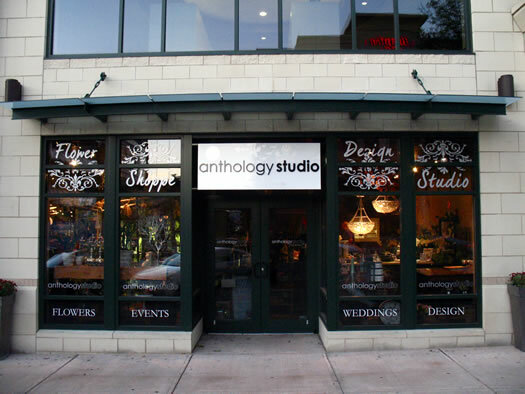 Many thanks to Anthology Studio on State Street in downtown Schenectady. We very much appreciate Evan and company allowing us to sit at their giant work table.